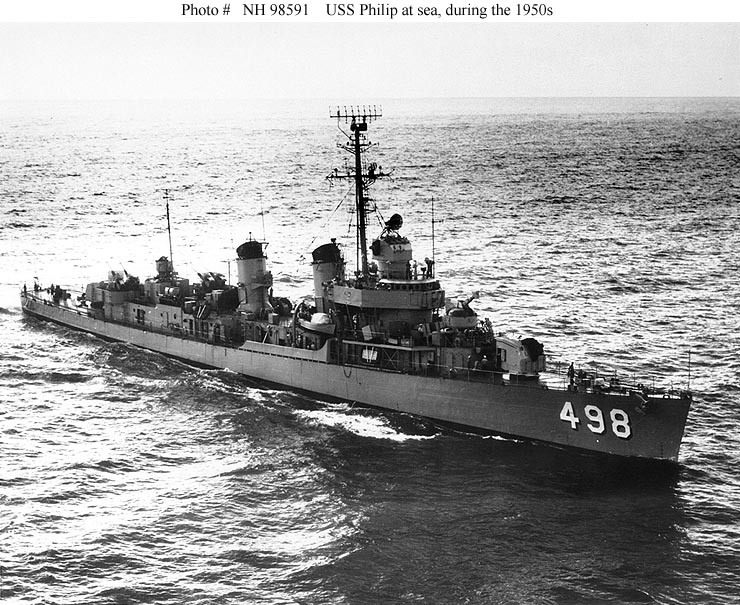 ↑USS Philip (DDE-498). 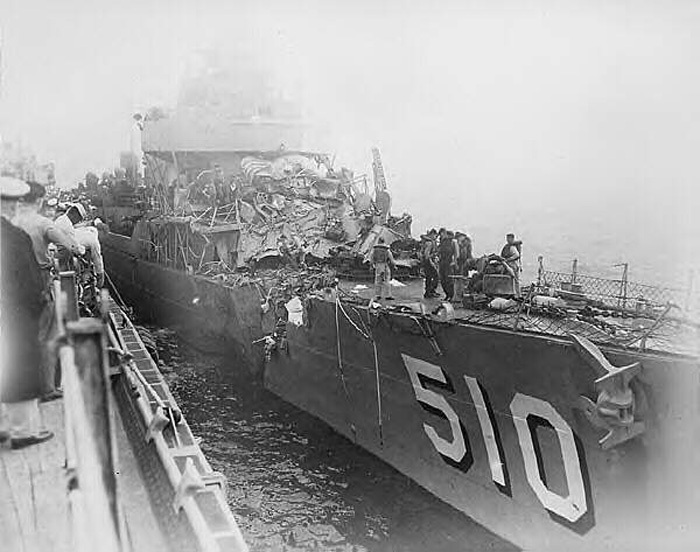 At sea during the 1950s This photograph was received by the Naval Photographic Center in December 1959. Official U.S. Navy Photograph, from the collections of the Naval Historical Center. ◎Korea, Quemoy-Matsu 21 Sep 1959, Vietnam Jan 1961. ◎Korea, Taiwan Straits Aug-Sep 1958, Quemoy-Matsu 21 Sep-Nov 1959, Mar, May 1962, Vietnam Mar 1962. ◎Korea, Taiwan Straits 14 Oct 1958. ◎Korea, Taiwan Straits Aug-Sep 1958, Quemoy-Matsu Jan, Mar 1960. ◎Korea, Cuba Apr 1961, Apr-Jun 1962. ◎Korea, Taiwan Strais Oct 1958, Quemoy-Matsu Jan 1959. ◎Cuba Apr 1961, Jun-Aug 1962. ◎Korea, Cuba Apr 1961, Apr-Jul 1962. ◎Cuba Apr, Jun-Jul 1961, Cuban missile crisis Oct-Nov 1962. ◎Korea, Quemoy-Matsu Sep-Dec 1959, Vietnam Dec 1960-Jan 1961, Apr 1961.